This is latest in the range of machines for stump cutting its our compact stump cutter with the go-anywhere traction and flotation that only tracks can provide, the Rayco RG 1635 Super Trac provides the answer. 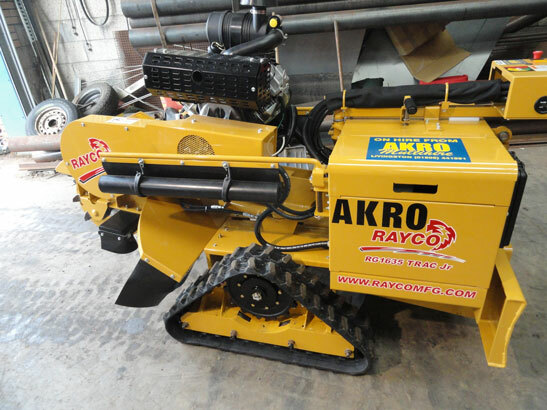 This all-new design from Rayco raises the bar for compact stump cutters by offering a small machine that is truly full-featured. Rubber tracks provide excellent traction and ground pressure of less than 4psi. 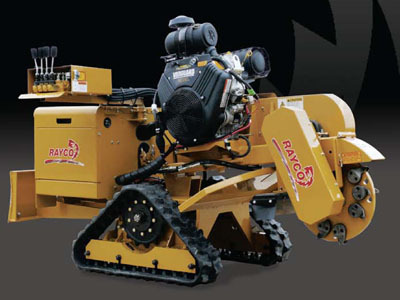 A huge 47-inch cutting width tackles big stumps, while a hydraulic backfill blade makes easy work of clean-up. A petrol 35hp Briggs & Stratton engine provides just the right power to get the job done. 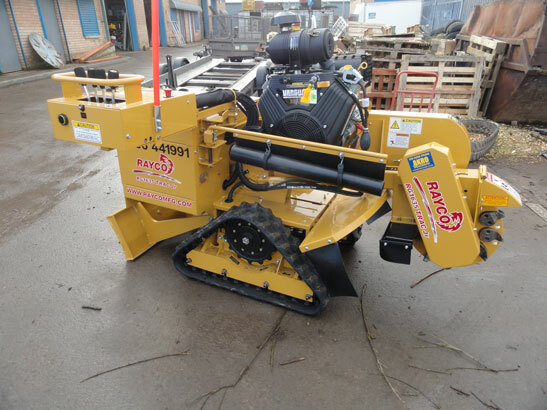 The RG 1635 Super Trac Jr also includes Rayco�s exclusive swing out control station for excellent visibility of the cutting action. This console swings in both directions � 180 degrees � to offer the operator remarkable flexibility to control the machine from various positions, not to mention provide quick access to narrow areas. 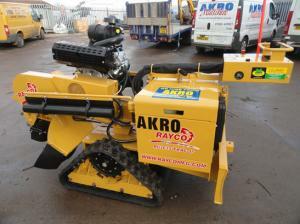 Weighing just under 760 kgs, the Super Trac Jr is easy to carry in a standard plant trailer.